I’m looking forward to him coming back this year and expect him to prove himself a force of the competition. He is still on track to be a top ten player and is only now the age where big guys really just begin their careers. Huge upside for our side if he starts dominating games again. People have such short memories in football, in politics, well most things really. Joey Daniher was ready this time last year to become a superstar of the competition. Everyone from paid pundit to pub drunk was frothing at the mouth, a veritable race to call him the next king. He had a year off. As long as he can get his body right he will only benefit from the year off. He will fulfill his destiny. Well, we all wrote Hird off over 97-99. ESSENDON coach John Worsfold has cast some doubt on whether star forward Joe Daniher will be back from injury for the start of next season, with the Bombers to prioritise his long-term fitness. Daniher played the first seven games of this year, kicking just eight goals, before he missed the rest of the season with osteitis pubis. The 2017 best and fairest and All Australian forward still remains some time away from rejoining full training, with the Bombers saying they expect the 24-year-old to be back with the main group after their Christmas break. Worsfold said the Bombers wouldn’t rush Daniher in a bid for him to be fit for their round one clash with Greater Western Sydney at Spotless Stadium on Sunday, March 24. “Joey’s working really hard. That OP injury can be a chronic, crippling injury so our No.1 priority is that it doesn’t linger and affect multiple seasons for Joey,” Worsfold said at Essendon’s annual general meeting on Monday. Essendon managed to cover Daniher in the second half of the season, finding other avenues to goal without the athletic and high-marking left-footer. Shaun McKernan and Mitch Brown filled the void as goalkicking options, but for Essendon to challenge and rise up the ladder the Bombers will be keen to have Daniher back at his very best. “We need him up and going and playing another 10 years at this footy club. 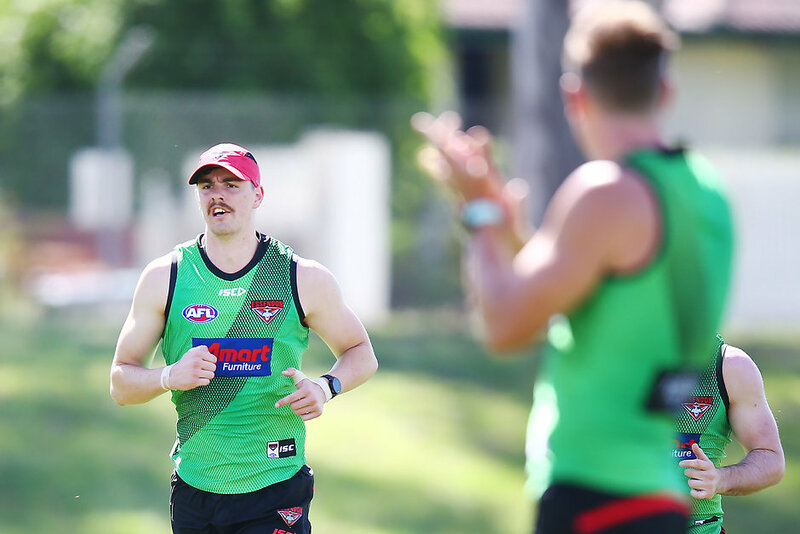 He’s tracking really well, working extremely hard, building a lot of strength back up, building up his running volume so we’re pretty happy with the way Joey’s going,” Worsfold said. Essendon’s JLT Community Series begins on Thursday, February 28 against Carlton at Ikon Park. Nah. The absolute best thing is that they dont rush him. a 100% fit Joey can win a game off his own foot. you dont take a risk with someone like that. If you watch the interview Worsfold just said they wouldn’t rush him if he wasn’t ready. He didn’t say it was likely he wouldn’t be ready for round one. Here it is for anybody that hasn’t seen it. 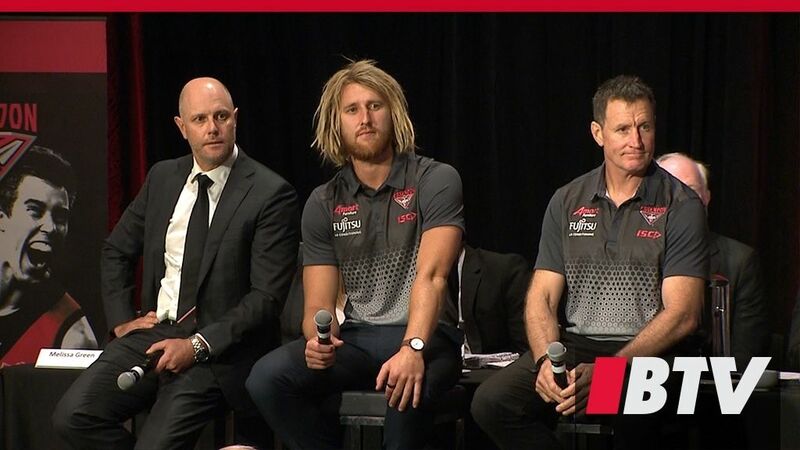 Dan Richardson, Dyson Heppell, and John Worsfold partook in a Q&A at the 2018 AGM. Honestly that article is just click-bait for highly strung forum footy supporters - will work a treat in here though. Still disappointed that they are still trying to get it right after missing most of last year. I think he’s our most important player and best. We can’t win the flag without him. He’s ■■■■■■■ done. We ruined our best forward of the past decade. Highly strung? There’s no one here like that? Still stirring the pot with a toothpick. Yuk yuk yuk!